First is Ο Ιερεμίας Μπένθαμ και η Ελληνική Επανάσταση (Jeremy Bentham and the Greek Revolution), published by the Greek Foundation for Parliamentarism and Democracy (Athens, 2012). The volume was composedby Konstantinos Papageorgiou (scientific direction, Introduction, Appendix, translation, and commentary), Filimon Peonidis (Introduction, Appendix, translation, and commentary), Andreas Takis (translation and commentary), and Yiannis Tassopoulos (translation and commentary). The book seeks to study the relationship between Bentham and the revolutionary Greek governments, and presents the first critical Greek translations of the many essays and letters Bentham addressed to the Greeks, in the hopes that his philosophy might be put into practice. Bentham’s Panopticon is given attention in two German works. First, Panoptikum, oder Das Kontrollhaus (Panopticon, or the Inspection House), published by Matthes & Seitz (Berlin, 2013), edited by Christian Welzbacher and translated by Andreas Leopold Hofbaueur, provides the first critical German translation of Bentham’s Panopticon writings. Also by Christian Welzbacher is Der Radikale Narr des Kapitals: Jeremy Bentham, das Panoptikum und die Auto-Ikone (The Radical Fool of Capital: Jeremy Bentham, the Panopticon, and the Auto-Icon), published again by Matthes & Seitz (Berlin, 2011). According to the publisher’s website, Welzbacher explores Bentham’s ideas, and ‘shows how the Panopticon and the Auto-Icon were developed in a cosmos of bourgeois cultural history full of abysses and scurrilities’. Another work in German is Eine Einführung in die Prinzipien der Moral und Gesetzgebung, a translation of Bentham’s Introduction to the Principles of Morals and Legislation, published by Verlag Senging (2013), and translated by Irmgard Nash and Richard Seidenkranz. 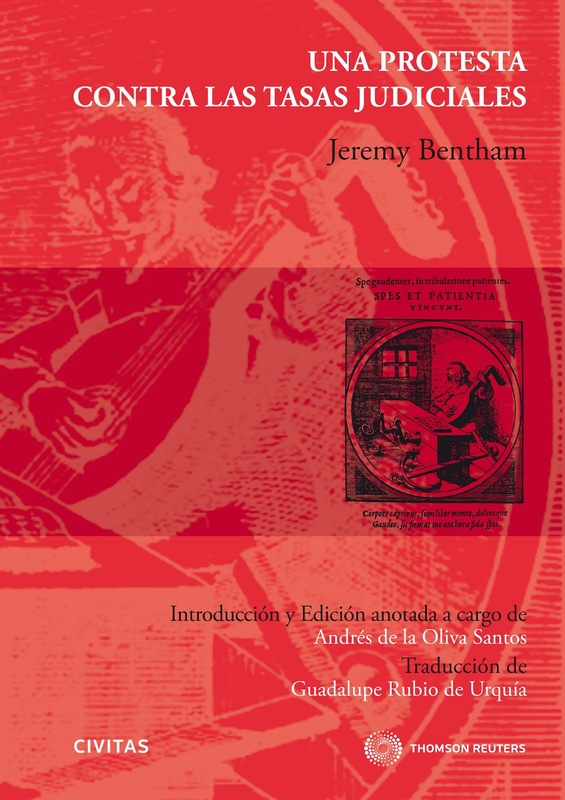 Finally, is Una Protesta Contra las Tasas Judiciales, a translation of Bentham’s Protest Against Law Taxes, introduced and edited by Andrés de la Oliva Santos, and translated by Guadalupe Rubio de Urquía, published by Thomson Reuters (Madrid, 2013). If you know of any other recent translations of Bentham’s works, or scholarship on Bentham, do let us know!